If you've got an expensive taste for quality and fashion, you'd be more than happy to know that you'll now be able to get your hands on the uniquely designed BeoPlay H2 headphones. High-end audio connoisseur Bang & Olufsen has introduced a more affordably priced pair of quite stylish looking, portable on-ear headphones that offer a similar level of premium build quality and design as its larger over-the-ear BeoPlay H6 headphones. The new BeoPlay H2 offer B&O's signature superior natural sound clarity using custom tuned 40mm drivers, and feature a flexible adaptive headband that automatically adjusts to fit your head, durable lightweight polycarbonate composite frame textured to look like aluminum and covered in rugged textile fabric designed to evoke a familiar clothing-like feel while genuine padded lamb skin leather ear cushions provide a comfortable and sound-isolating listening experience. Unlike the more expensive BeoPlay H6 headphones, Bang & Olufsen's new BeoPlay H2 aren't made from any metal materials, but do feature a detachable and interchangeable audio cable with an in-line remote and microphone for music playback control and headset functionality. 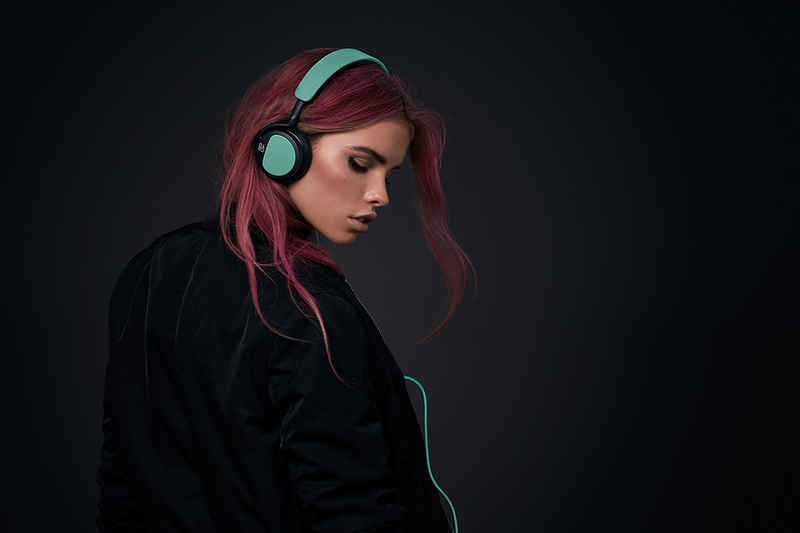 Offered in Carbon Blue, Silver Cloud and Feldspar Green colored fabric accents, the BeoPlay H2 closed back on-ear headphones are expected to be available on 26th of December for $200. You can pre-order them right now only through Amazon.com.